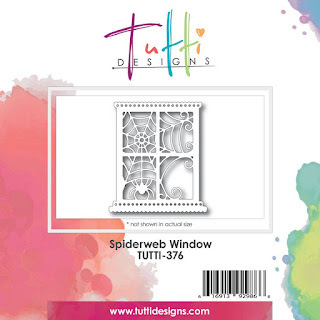 It's Monday, so it's Nancy with a new Tutti Designs share! and I have combined two of the new dies on my card. 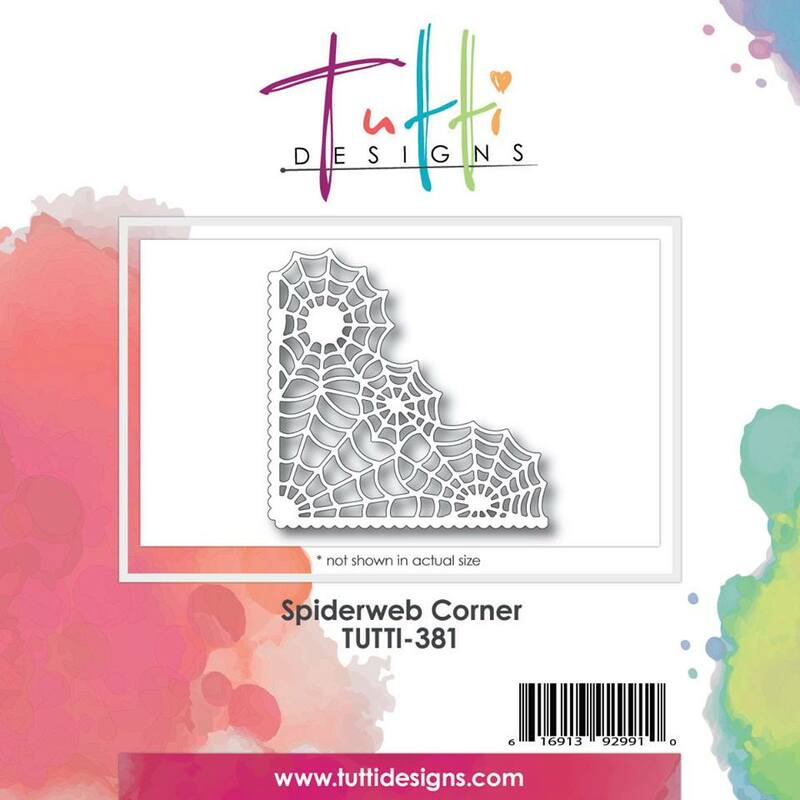 and the Spiderweb Corner Die. I don't do Halloween, and I know many of you don't either. So I got a little bit creative with my project. I cut the die once in white. Then I cut just the spider again in black, and adhered it on top. I added Stickles to the spider web to make it sparkle. 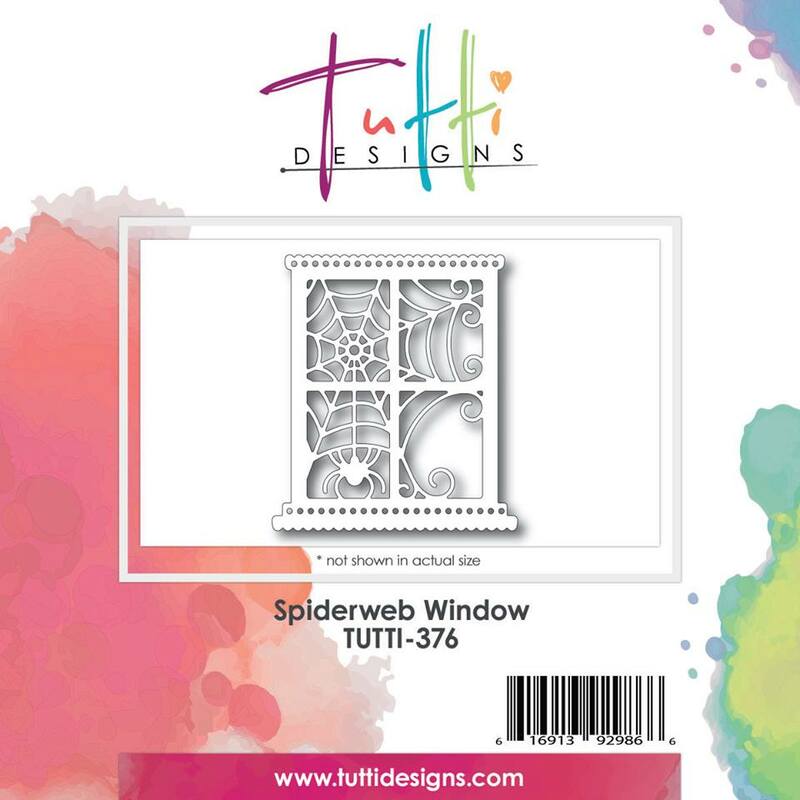 hahaha great sentiments--that's the worst to lose it lol I love this spider web window, how cool. And I adore what yo have created! It's just a FUN everyday card! Well done! OMG! This is so cute! What a fabulous NON-Halloween creation using these die! GREAT JOB!! Super fun Halloween card! 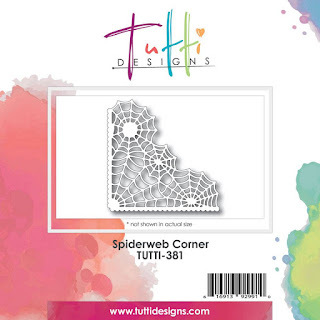 I love the spider web and your quote is awesome! !